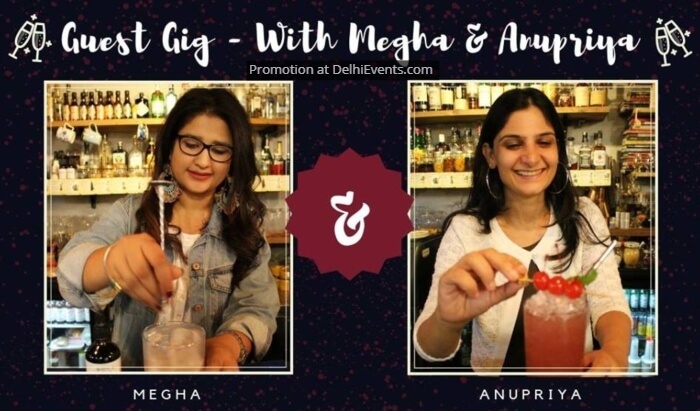 Event Description : MUSIC : Guest Gig with Megha & Anupriya! Megha Kohli is one of the country's youngest and most popular chefs! Currently, she's the head chef at popular Armenian restaurant, Lavaash by Saby. She loves food, Dilli, reading and most of all, Bollywood star, Shahrukh Khan! She's the first chef to be bartending at Speaks and we couldn't have been more excited! Anupriya is a fitness, travel and lifestyle blogger who wishes to inspire people, women and especially moms to make fitness a way of life. After years of chasing deadlines at various corporate jobs, followed by full-time motherhood and now a work from home mom – she discovered running in 2009. There’s been no looking back ever since. Having participated in numerous races in India and the Philippines – which include half marathons, full marathons, and ultra runs on road and on trails – she's been averaging over 100 kms a month. Since running has been her source of fitness and positive energy for so many years now, her endeavor is to help people realize that it’s a recreation meant for everyone.